John Binns, a British lawyer and an attorney of Diezani Alison-Madueke , has been accused of preventing the EFCC from interrogating the ex-minister for Petroleum Resources. According to a report by The Punch, the anti-graft agency has said that its investigative team has not been allowed to meet Diezani in the United Kingdom despite all its effort. The EFCC's effort has been allegedly thwarted by Binns of BCL Solicitors, who has been representing the ex-minister in legal matters in the United Kingdom, where she has been staying since 2015. An occurrence of Binns' effort to thwart possible opportunity to interrogate the accused ex-minister was in March 2017 when EFCC’s team of investigators, led by Abdulrasheed Bawatried to meet her in the UK but proved abortive as Binns refused to allow the commission. In a counter-affidavit filed before the Federal High Court, Abuja, the EFCC says it had been investigating Diezani for various allegations of corrupt practices, including abuse of office, money laundering, stealing of public funds and illegal acquisition of properties within and outside Nigeria. 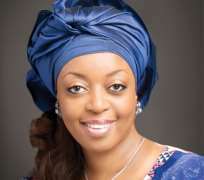 An EFCC detective, Rufai Zaki, however, said that it was not yet possible to bring Diezani back to Nigeria as she was being investigated by the UK’s Metropolitan Police for several other financial crimes, saying the probe had reached an advanced stage.